Wild Rice Meatballs is a fun and delicious recipe that uses wild rice as filler instead of bread or cracker crumbs. The meatballs are so tender and easy! You can use precooked wild rice from a can if you'd like, or cook wild rice as the recipe directs. Cook it until the rice is almost tender; it will finish cooking while the meatballs bake. The rice is tender and nutty and really adds a nice texture to the tiny meatballs. The trick to making the best meatballs lies in how you mix them. All of the ingredients except the meat should be thoroughly combined before you add the meat. Add the meat at the very end and mix gently with your hands. This ensures that the meat is not overworked so the meatballs are tender. 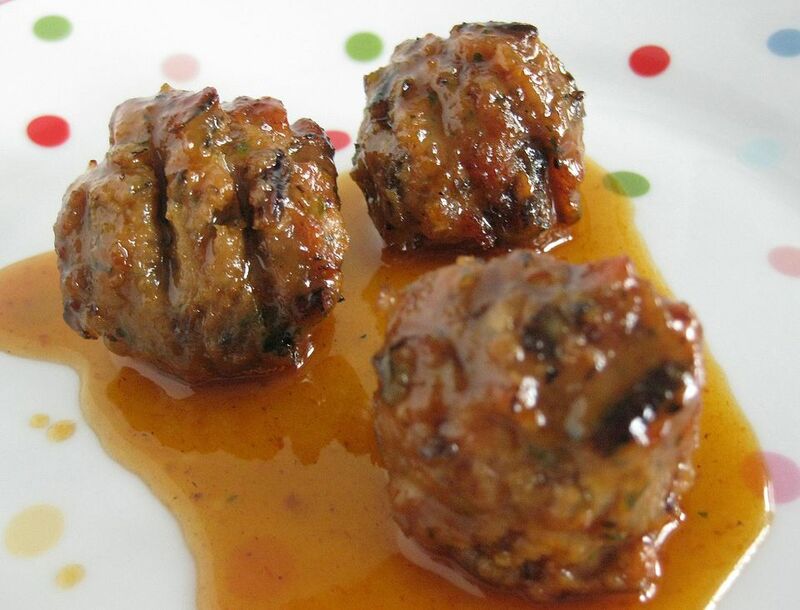 These little meatballs freeze well after they are baked. Let them cool for about 30 minutes, then pack into hard-sided freezer containers, label with the name of the recipe and the date they were prepared, and freeze up to 4 months. To use, thaw the package in the refrigerator overnight, and use as directed in recipes. You can serve these meatballs as an appetizer, or use them in Spaghetti and Meatballs or any of my recipes that Start with Meatballs. They are especially good in Crockpot Wild Rice Meatball Chili, which uses wild rice in the chili too! Combine wild rice with 1/2 cup water in small saucepan. Bring to a simmer, then cover and simmer on low heat for 30-35 minutes until rice is almost tender. In small saucepan heat olive oil over medium heat; add onion and garlic and sauté until tender, about 5-7 minutes. In large bowl combine onion mixture, wild rice, seasoned salt, pepper, milk, and egg and combine. Add ground beef, broken into chunks, and work gently but thoroughly with your hands to combine. Bake at 350 degrees for 25-30 minutes until meatballs are no longer pink in center. Cool and freeze, or when baked, use in your favorite recipe.